Hello guys! Hope you are having great week. 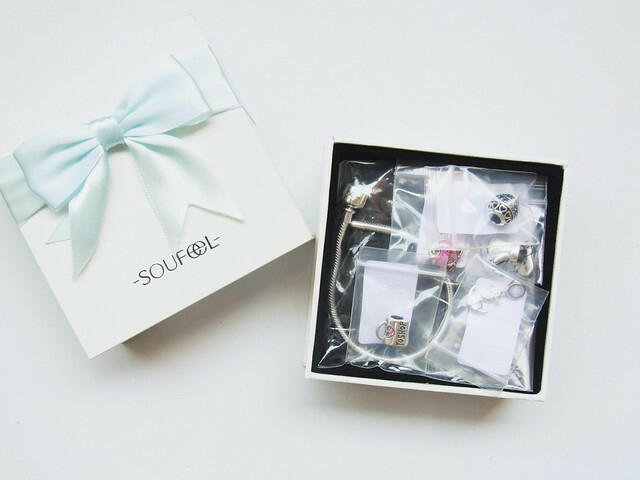 I have just received something really beautiful and that is Soufeel charm bracelet. They remind of popular and really expensive Pandora bracelets, but they are even better. 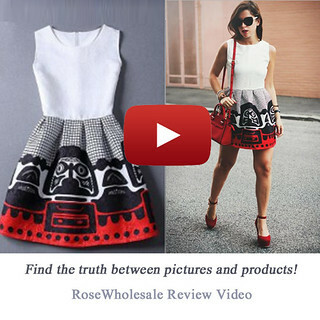 Soufeel is online shopping site founded in 2011 and since then they have many customers from all around world. Soufeel products are 925 sterling silver and colored gems as main raw materials. 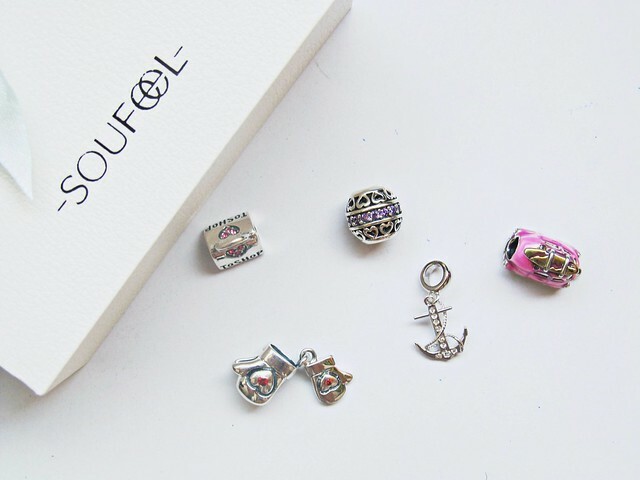 With interchangeable charms, you can choose from over 500 designs of charms (woow)! So, you get high quality silver bracelet, quality silver, gold or swarowski charms that fit all brands of bracelets , fast shipping, 356 day return policy and 100% satisfaction guarantee and all that for really affordable price. And I must say - it is perfect idea for gift, you get beautiful, quality and great packed gift! 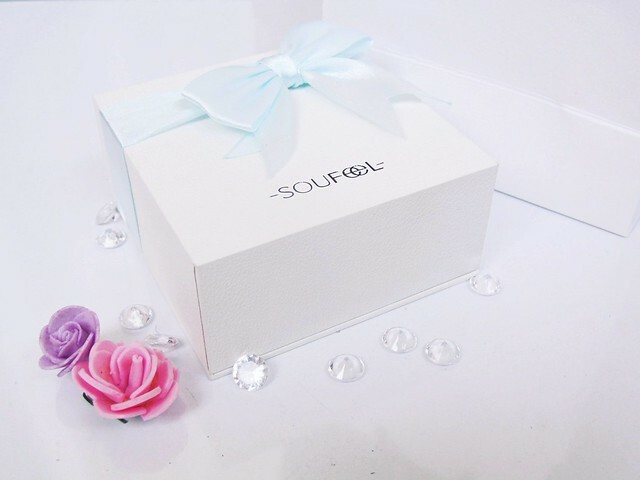 At Soufeel, they provide free shipping and 365-day return service, so that you can enjoy a risk-free shopping experience there! 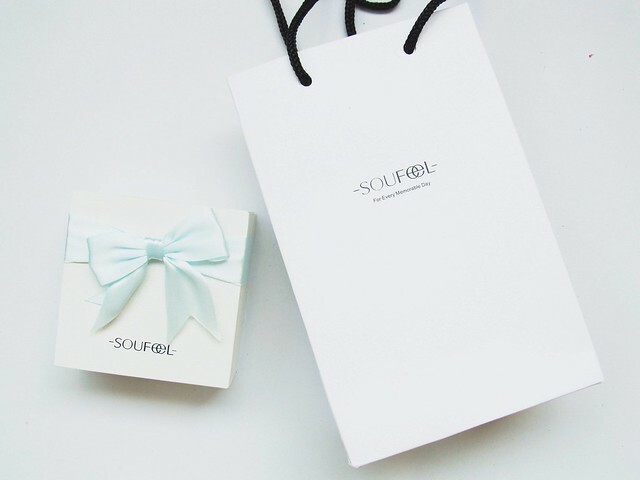 You can also search Soufeel on Google to find their official store! Zdravo svima! Danas sam dobila ovu divnu narukvicu sa sajta Soufeel, koja podseća na popularne Pandora narukvice, ali mnogo povoljnije i mnogo mi se dopada. Ja sam inače osoba koja voli da nosi narukvice, ali samo koje mi se baš dopadnu, a ova je savršena za svaki dan, faks, šetnje i slično, pa čak i za opušteniji izlazak. Narukvica je jako kvalitetna, kao i privesci. Sve je napravljeno od 925 srebra, a možete naći čak i zlatne i swarowski priveske iliti charm-ove.☺ I odlično je za poklon, jer dobijate kvalitetan i lep poklon i jako lepo upakovan. Kada sam ih dobila, narukvice i charm-ovi su veoma lepo i sigurno bili upakovani, pa se ne trebate bojiti da će se oštetiti prilikom dostave. Izabrala sam srebrnu starter narukvicu i 5 privezaka. Privesci su: privezak sa ljubičastim kamenčićima za mesec jun, jer sam u junu ja rođena. Zatim rukavice sa srcima, jer treniram kikboks već više od pola godine, pa je ovo i moj omiljeni privezak definitivno. 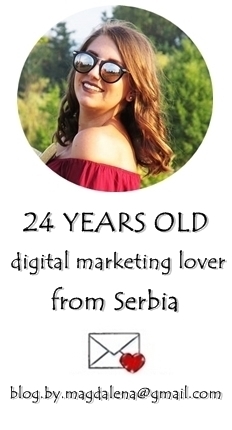 Onda love to shop charm, zato što jelte volim da šopingujem, travel car charm zato što volim da putujem i charm sa sidrom, jer obožavam more i sve što je povezano sa njim. Inače, privesci tj. charm-ovi treba da asociraju na nešto što je vama lično bitno ili nešto što volite da radite. Ja sam prezadovoljna, i već u sledećem postu ćete je videti na meni. In first anigif you can see how the products are protected during shipping. You have box and then in big box another smaller box. And you get cute gift bag. I really love the packaging. The design is really classy and pretty. You get gift bag and cute gift box with bow. It is perfect for gift! You don't even need to pack yourself. Inside box are bracelet and charms packed in little bags to be secure during shipping. So, I chose *starter 925 sterling silver basic bracelet* you can check details here. P.S. It is on sale! And I chose 5 charms, they are supposed to represent something close to your personality and something that you love. First I chose *June birthstone light purple charm*. It represent my birthday month. Every month have their own colour and June's colour is purple, with purple stones. Then I chose *heart gloves charm*, and if you wonder why, because I am training kickboxing for over half a year and I am really into it. And this charm is probably my fav. Well which girl doesn't like to shop. So I chose *'Love to shop' charm* with little bag. And a *little travel car charm* because I love to travel. The last but not least is *anchor pendant charm*. It represent my love for sea. I love swimming, I love sea and everything related with sea. They have literally anything you want. I forgot to choose turtle charm, ugh, cause I have turtle tattoo on my leg. But next time will order that for sure. Here you can see closer all my charms. And how they look all together. Thank you Soufeel! You are really amazing! hey there my dear :) cool post !i Need this cute bracelet too. Ohh the bracelet's so cute.. Love it! This is absolutely gorgeous, love it.